The site for the Feagan Townhouses presented an excellent opportunity for north-facing fronts and, with careful planning, views of downtown Houstons impressive skyline. 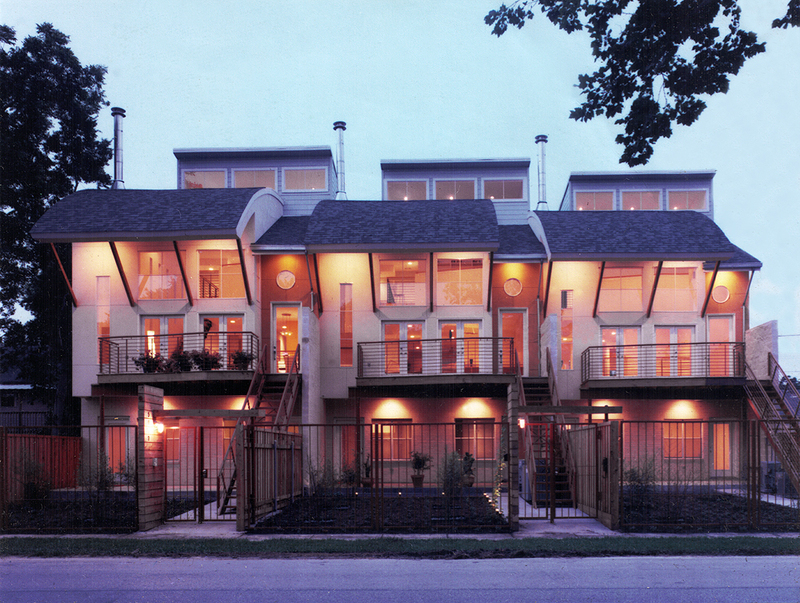 The townhouses were conceived as a series of three interlocking dwellings that take advantage of both site features. These dwellings are staggered at 4-6 increments to give all three townhouses views of downtown from the master bedrooms and back balconies. Staggered placement also opens the complex to the surrounding neighborhood and narrows exposure to the busy avenue that borders the neighborhood. 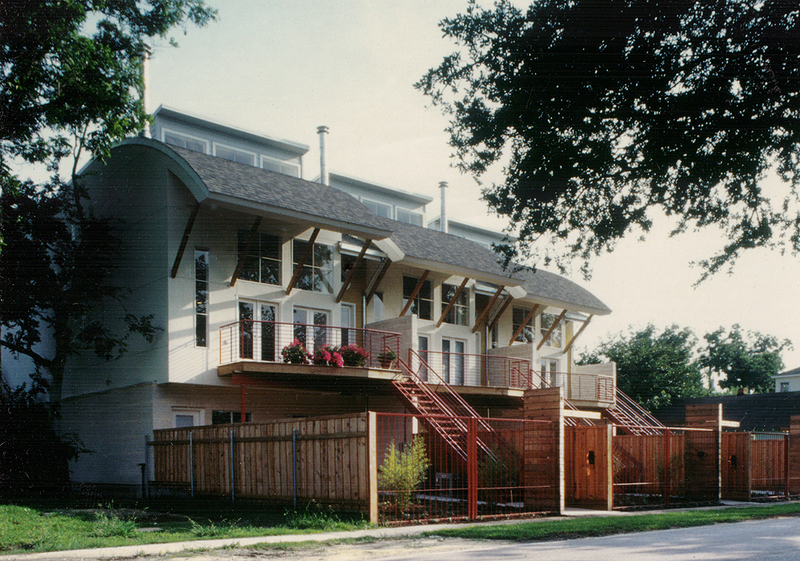 Individually, each townhouse is formed by two interlocking volumes set upon a common, one-story masonry base. The first volume is a shed roof structure. The taller side of the shed structure provides northern light through clerestories. The wood siding used to clad this structure is a vernacular material found throughout the neighborhood. The shed volume contains the private areas of the house such as the master bedroom, the family room and the kitchen. 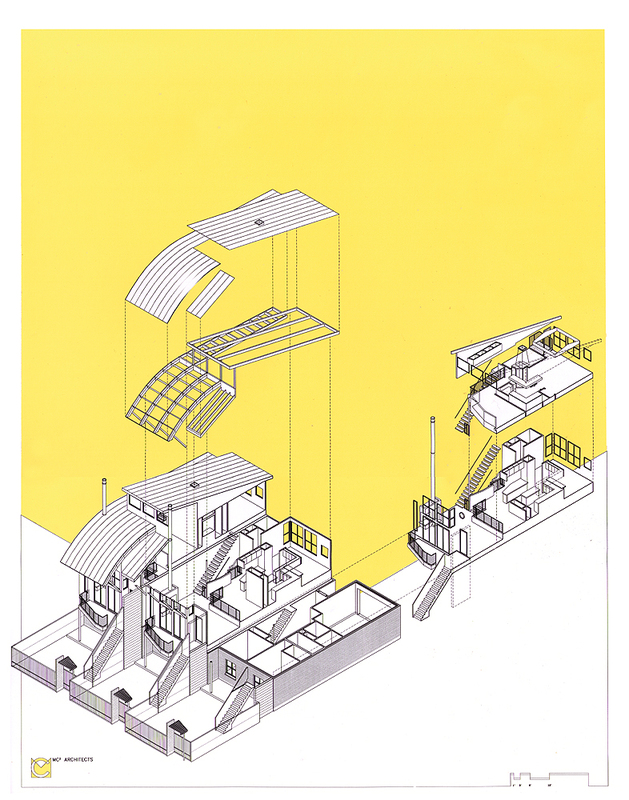 The second volume is an arched-roof structure that is offset horizontally and vertically from the shed roof structure. 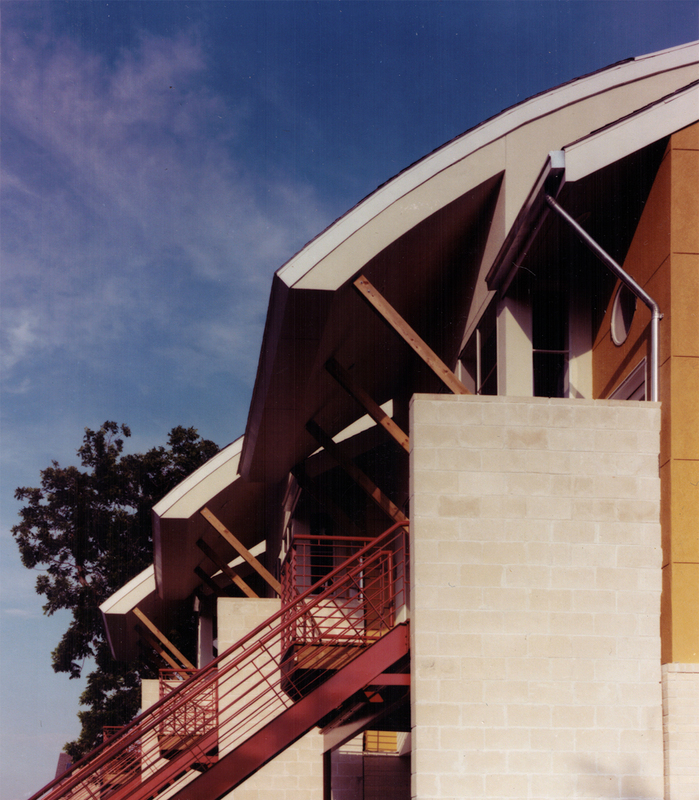 This volume is covered by a curved roof that extends over the entry balcony. The plane of the curved roof explores a new way to protect the houses from the scorching sun and heavy rain. Public areas such as the formal living room, the powder room and the vertical circulation are placed inside this volume. 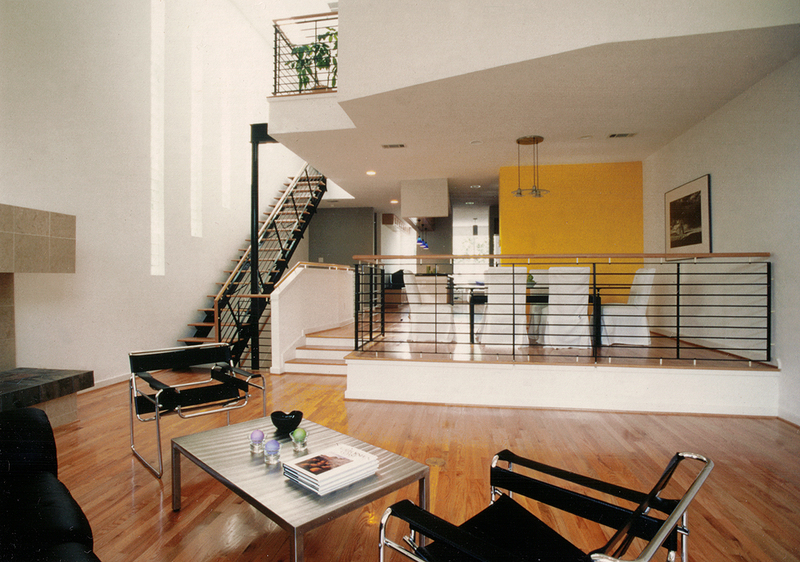 Both spaces are interlocked to allow free movement from one area to another. 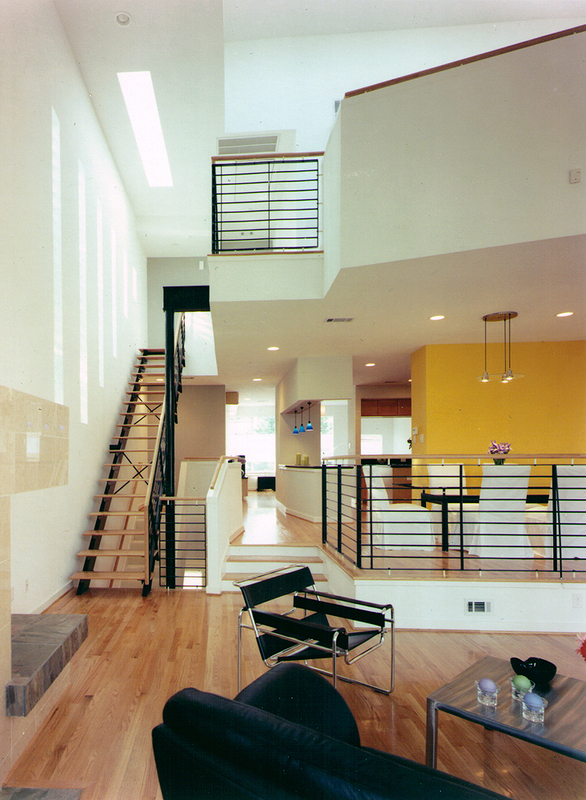 At the third level, the interior study balcony is designed to float into the curved volume overlooking the living area. 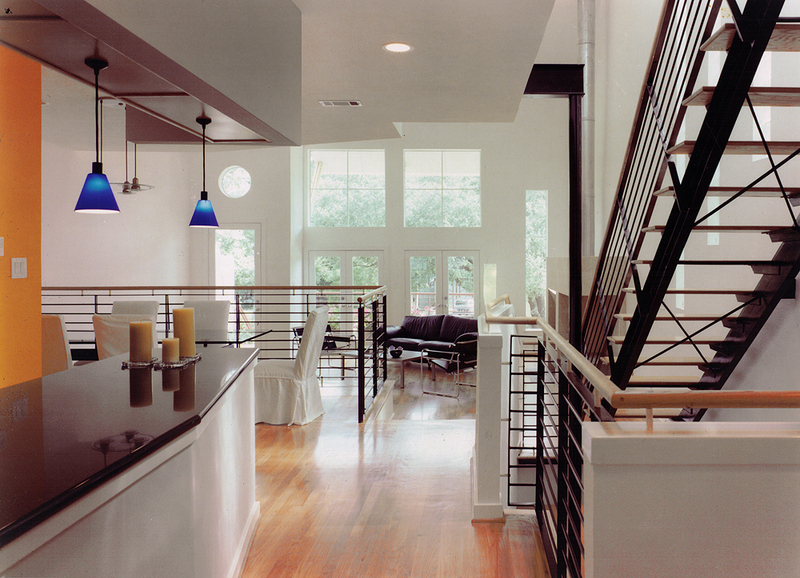 An open staircase along the east edge of the intersection allows natural light to wash down from the roof to the ground floor. The masonry base contains service functions such as the utility room, mechanical room and garage, along with the guest bedrooms. At the back of the lot, the base faces an alley and permits placement of the garage to the rear of the residence. This, in turn, lets the entry and bamboo gardens front the street and the neighborhood.